I always go to the beach every December. It's our company's annual outing. All free of charge just bring clothes and your family. We always stay in the Batangas area where my Boss' boat resides. No choice to experience other fun and exciting beaches. With all the wondering, Me and my Wife Len decided to take another adventure. 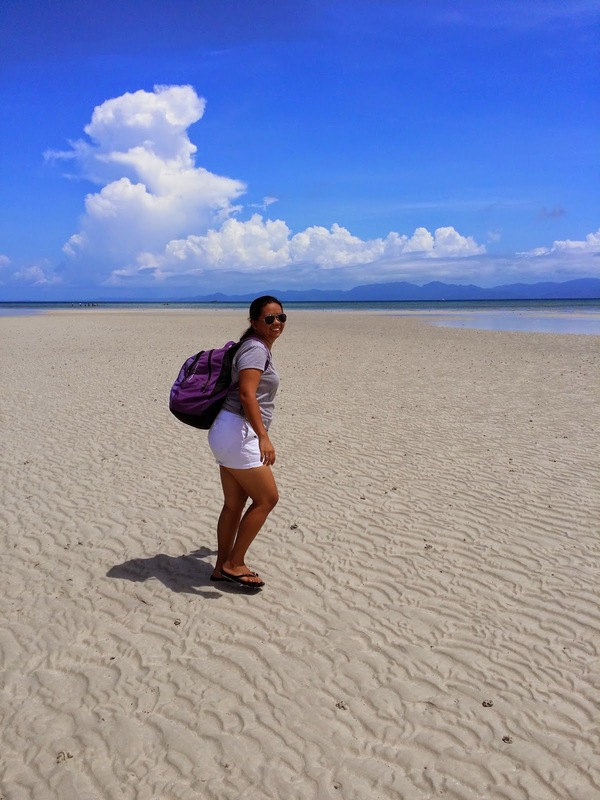 This time it was Cagbalete Island situated down mid-south east of Manila. I remember a friend posted on Facebook a blog review of the Island. A place where there is no resorts and spa. A place where you need to put up a fire to cook and build a tent in order for you to sleep in the cool breeze of the sea. If you have the same passion such as ours. 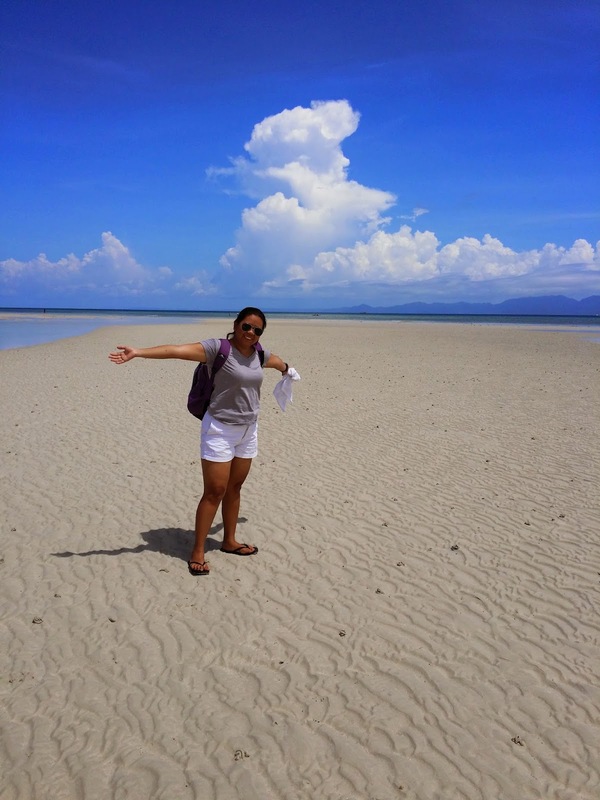 Please continue to read along this post and know how our cool journey towards Cagbalete. 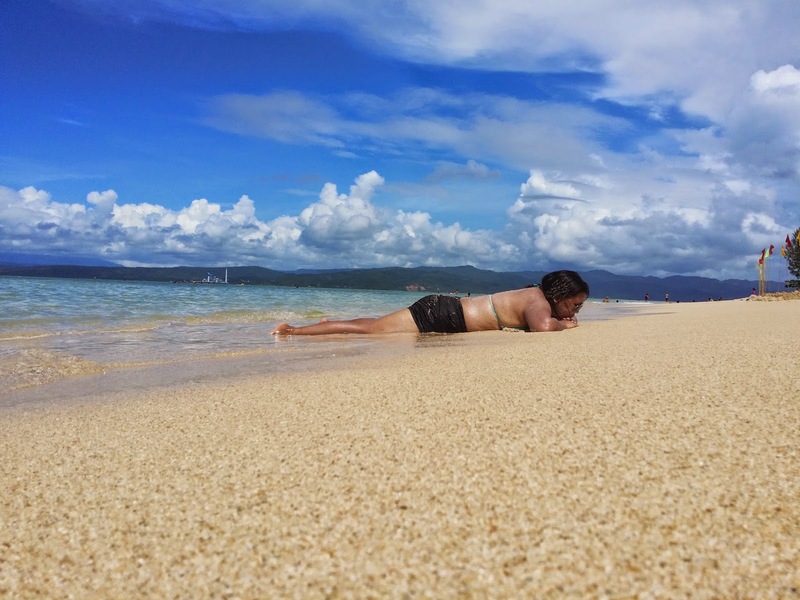 You might end up strolling into this beach one sunny afternoon and I promise you it's worth it! So we start from Manila. There's a bus that will bring you straight to Mauban, Quezon. The scheduled time is 5am and 12nn. I suggest you come early if you are going there on weekends. There are too many passengers to accommodate. The Fare cost is 218 from Quezon City to Mauban. 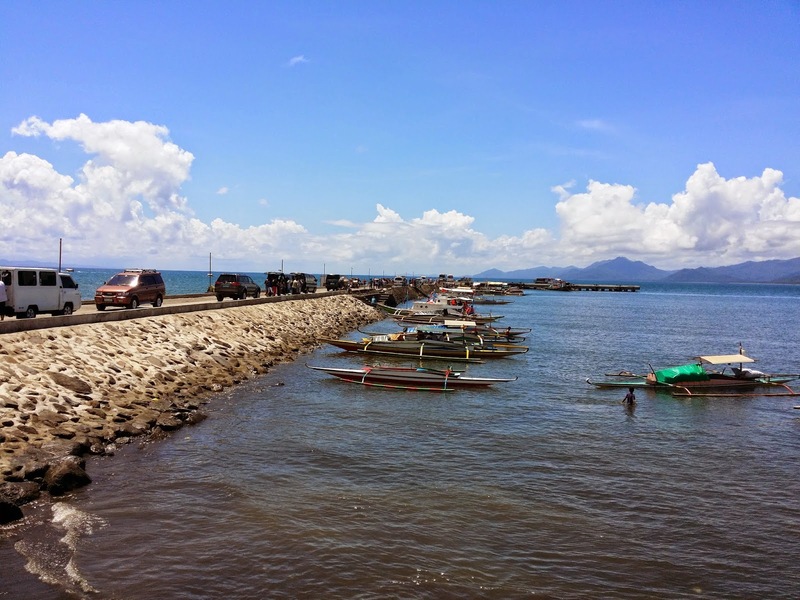 From Mauban you'll have to ride a tricycle that will bring you to the Mauban Pantalan or Mauban Port. In case the bus was full that will send you direct to Mauban and you have no choice but to proceed with the plan 2. It's the Quezon City-Lucena Grand Terminal. The same Bus station but this time you will ride the bus going to Lucena. Ask the conductor to drop you to Lucena Grand Terminal. You won't miss it. It's a big Terminal of the South. Once you've dropped off the Terminal asks where is the terminal going to Mauban. You'll be riding a Php 54.00 Ordinary bus. When we went there we have to wrestle with another passenger. It would take you 1hr and more depending on the severity of the bus. Kidding, but I guess this would lead me for a better recommendation. Instead of dropping to Lucena Grand Terminal, take the SM Lucena Drop off Point. There's are a lot of Van and FX taxi that can bring you quick and comfortable for about Php60. A difference of 6 pesos for an air-conditioned and faster travel time. Once you reach Mauban. There will be tricycle that will bring you to the Port. Now listen, If you were able to make the Quezon City for Mauban Trip. You have a good change of catching the public boat that will cost you Php60/head a little cheaper. I suggest grabbing this boat if you are only 3-5 in the group. If you are in a big group, you can coordinate with the resort owner and arrange a private boat for you. I think it cost me Php200/head back and forth, but with time schedule on my side. I mean you can tell the boat men the intended time you will arrive and the departure time you want. Much better that haggling time and catching the 10am public boat ride. You have to pay environmental and other fees on the Port. I think its a Dept. of Tourism's way of preserving the port and the likes. It would take another 1 hour boat ride. 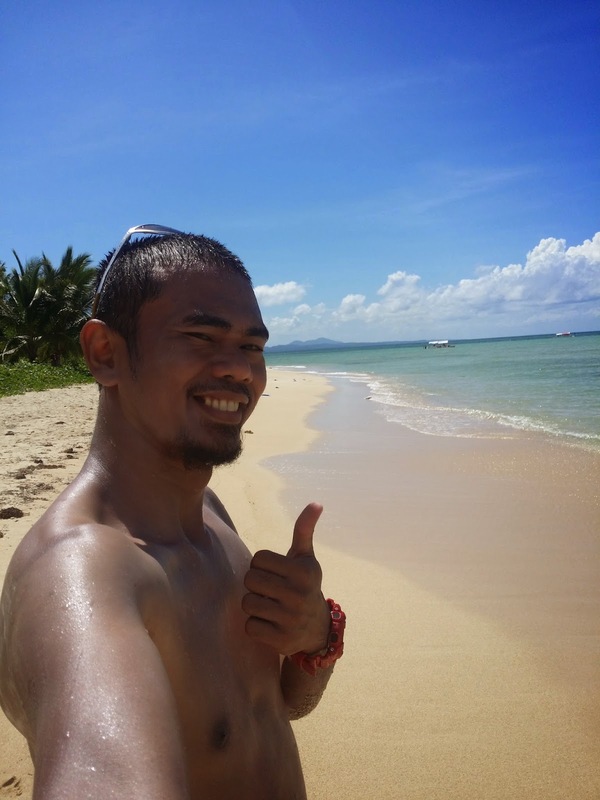 The waves are not big although for the afraid to ride a boat I suggest to grab the Private boat... More relax. I read that sometimes they overload the Public boat. So just to be sure. Here's the View of the Pantalan. After the 1 hour boat ride we have arrive to the site. 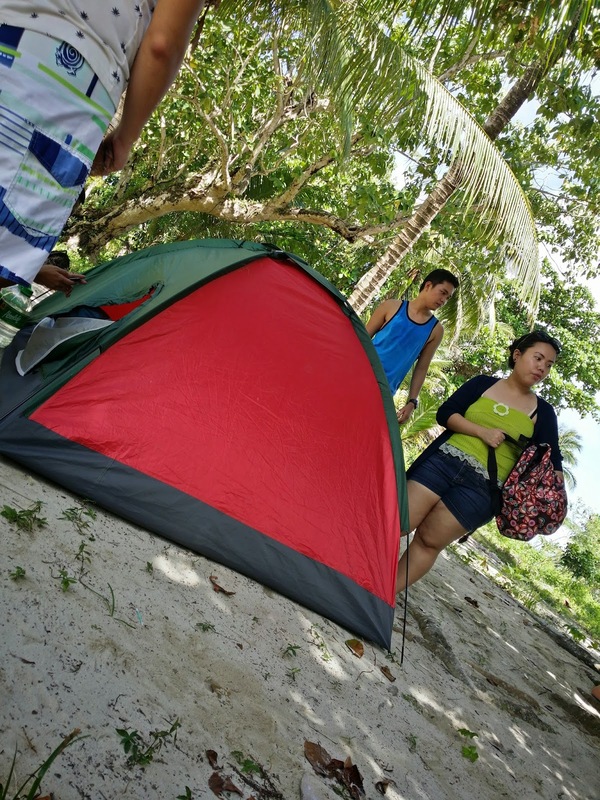 We've manage to get a tent for Php 500 and we are able to haggle it for only Php300. Worth the Haggling. Here's my Lovely wife getting tan at around 9am. Here's the fun part.... At around 12Noon the waters subside. At low tide on the island would show how magically clears the water and the sand. I caption this picture of my wife as " when Blue meets white then you'll knew that you are in Paradise.